Lincoln Park is a location bursting with luxury real estate stock, and much more potential yet to be realized – and for good reason. This youthful neighborhood is popular with young professionals, recent college graduates, and families with young children, while also keeping its historical roots intact. 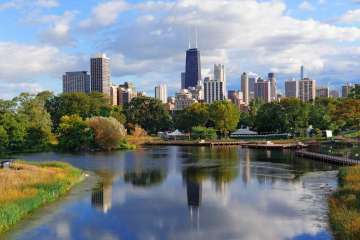 With this diverse population, Lincoln Park has developed nightlife and upscale shopping to accommodate its younger, affluent crowd, yet also built a variety of family amenities such as the Chicago History Museum and the famous Lincoln Park Zoo. If you have not already explored this amazing latter attraction, there has never been a better time – the Zoo is celebrating its 150th anniversary this year, after beginning in 1868 from the small gift of two swans from New York’s Central Park. In honor of this, the Zoo has created a ‘From Swans to Science: 150 Years of Lincoln Park Zoo’ exhibit to show its history and plans for the future. Come now for this, or to see its swan pond, Kovler Lion House, or Regenstein Center for African Apes! Not only does Lincoln Park offer exotic animals that can spark children’s imaginations, but also it maintains a strong sense of neighborhood – most clearly shown in the LincolnPark Conservancy nonprofit organization. Founded in 1984, the Conservancy is dedicated to preserving over 1200 acres of park land, historical monuments, play lots, running paths, and other public amenities that serve the residents of Lincoln Park. The Conservancy is a largely volunteer organization that shows the vibrant spirit of Lincoln Park residents, and their desire to preserve their beautiful community. Lincoln Park not only has family-friendly attractions such as the Zoo, and a strong sense of community, but also a wide variety of ways to ensure action-packed nighttime escapes from work for its young professionals. Known for its cocktail bars, Lincoln Park has both upscale and casual offerings for its residents and those who come from across the city. The area contains local standouts such as The Barrelhouse Flat’s 70-cocktail menu and headcheese putine, The Hidden Shamrock’s fireplace, 17 taps, and original artwork, and The Drop Lounge’s originally crafted shot menu. With this array of options, Lincoln Park residents are sure to have a fun night – or at least be told that they did. After learning about this list of amazing amenities, you might be surprised to learn that Lincoln Park still has room for new residents! In fact, there is a large stock of luxury rental buildings in the area, and more are always being constructed. 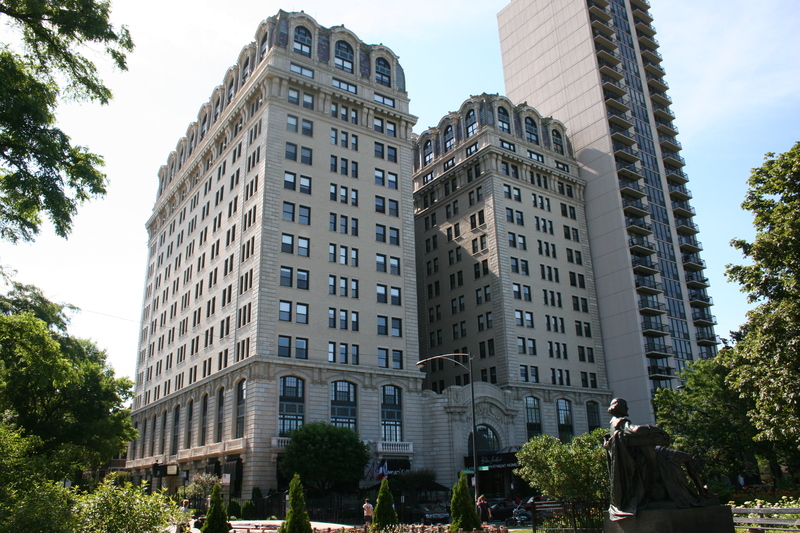 To cater to the families in the area, there are regal buildings such as the Belden Stratford, which was constructed in the roaring twenties and maintains the look and feel of an opulent hotel. For the young professional population, the sleek Sono East building may be ideal, with its full fitness center and outdoor bonfire lounge. No matter your love for the old or the new, Lincoln Park can feel like home for everyone!